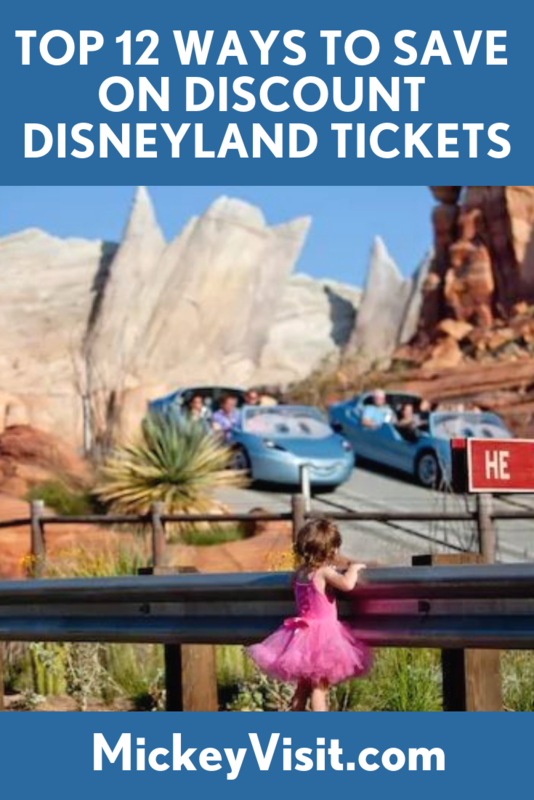 Discount Disneyland Tickets 2019 - 12 Best Ways to Save on Disneyland Tickets! The most seasoned Disneyland goers know that you can always save money on multi-day Disneyland tickets. In this guide we have broken down the best discount Disneyland ticket options into an easy to use list so that you will save money at Disneyland. There are also some frequently asked questions about finding discount Disneyland tickets and info on how to avoid scam cheap Disneyland tickets at the bottom of the article. 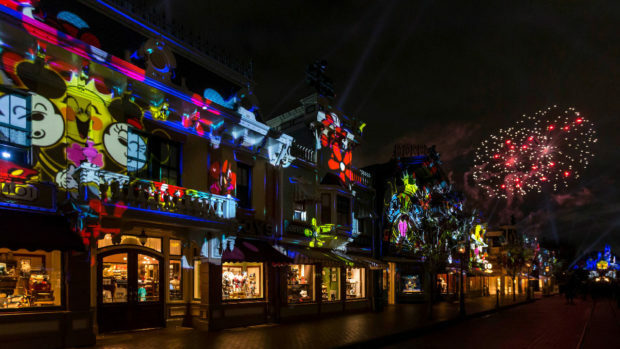 Let Us Help You Plan Your Disneyland Vacation! 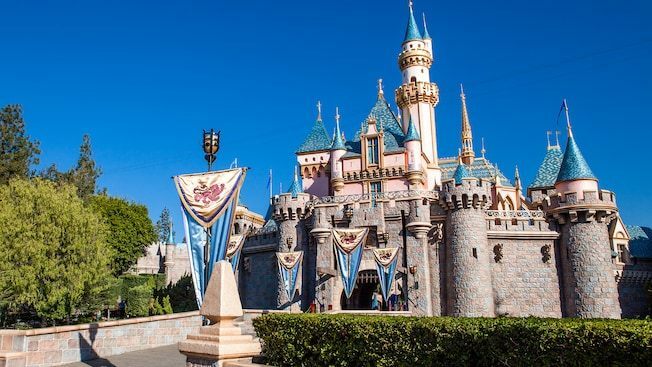 In order to reach every market throughout the United States and to increase their marketing power, Disneyland partners with outside companies and allows them to resell their tickets at a discounted rate. I work with Get Away Today, the largest of these Disney partners, and negotiated an even lower rate on tickets exclusively for readers of my sites DisneyDose.com and MickeyVisit.com. The team at Get Away Today values all that we provide for our readers so they have committed to offering the literal lowest prices on multi-day tickets publicly available ANYWHERE! Their company is top rated and they have worked with Disney for nearly 30 years helping millions of people to save money. Over the last four years they have helped thousands of our readers too and now they want to help you save money. You can also book entire vacation packages through Get Away Today that include your hotel stay. There are great savings in this option because Get Away Today secures exclusive deals for our readers such as free nights with certain length of stays, free perks at certain hotels like free breakfast or parking, and discount nights! One of my favorite things about Get Away Today is the layaway option. With just $175 down, you can put your entire vacation on layaway including your discount Disneyland ticket and hotel! 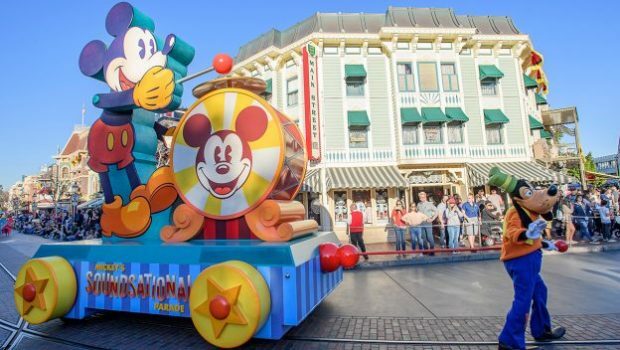 This is such a great way to make a Disneyland vacation accessible for families. The layaway plan does include a $75 non-refundable fee but I have found it is totally worth it so I can have the flexibility to make payments on my vacation. You also get Get Away Today’s amazing customer service on hand during your vacation. I always have such wonderful experiences with their customer service, they are always on call if you have any issues on your vacation. Plus, since their representatives visit Southern California at least once a year they are familiar with the hotels and the park to answer all of your questions. My first time taking a Disneyland vacation as an adult I used them and I probably called over 20 times asking questions- they were so helpful and not all exhausted by all my questions. I’ve always had positive experiences with the vacation packages through Get Away Today. You can see my two reviews of my recent stays at the Howard Johnson Anaheim Hotel here and the Clarion here when I used Get Away Today. When I stayed at the Howard Johnson, we got one night free which saved money since that hotel is more of a ‘mid-range’ priced hotel. My favorite lately has been the Clarion though, largely due to the savings I get from booking through Get Away Today. We always get one or two nights free along with free breakfast included and their breakfast buffet is great! It’s those perks that really make this a great option for families. And the fact that they offer layaway plans is amazing and makes the dream of a Disneyland vacation accessible for families. I was able to save up money for over a year when we took our first family vacation and having that flexibility made it all possible. Click here to book your vacation now! Make sure to follow our direct link so you can access our exclusive deals for our readers! 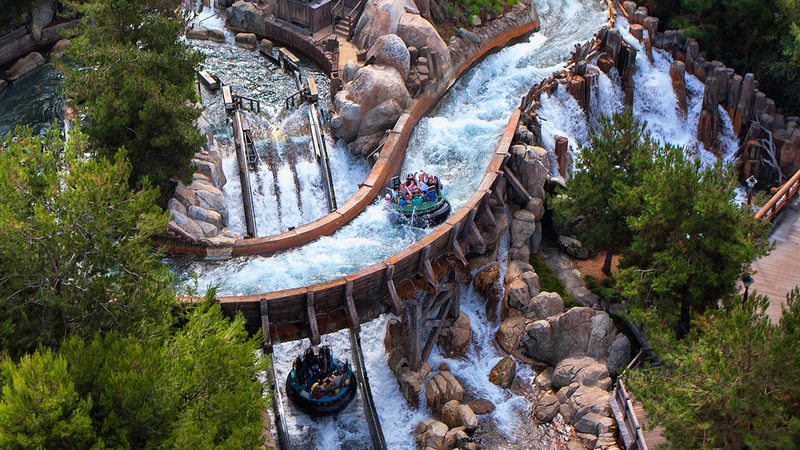 Universal Studios Hollywood is a great place to add to your list for your Southern California vacation. The Wizarding World of Harry Potter has made Universal Studios a better theme park than ever before. The details in the Wizarding World of Harry Potter are breathtaking even if you’re not the most devoted Harry Potter fan. You have the option of combining your tickets to Disneyland and Universal Studios Hollywood to save even more money. 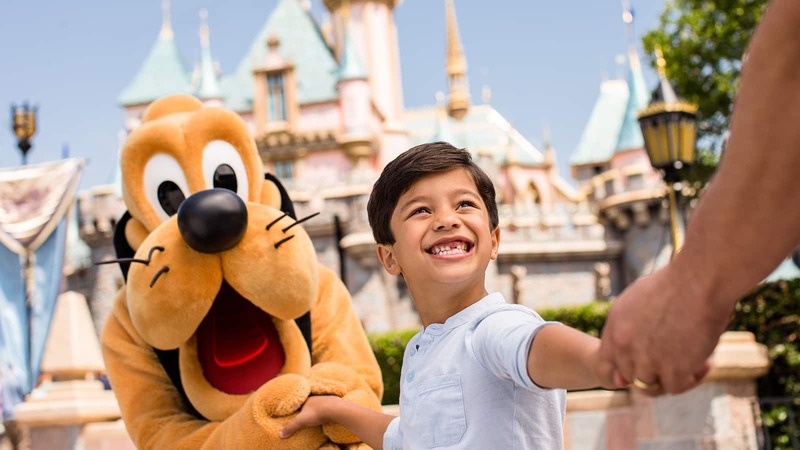 Our travel partner, Get Away Today, offers discounts on combination tickets that allow you visit Disneyland for two/three/four days and Universal Studios for one day! They also offer a discounted one day Universal Studios ticket option as well. Check out this helpful guide to Universal Studios Hollywood 2019 for more info on saving money at Universal Studios. 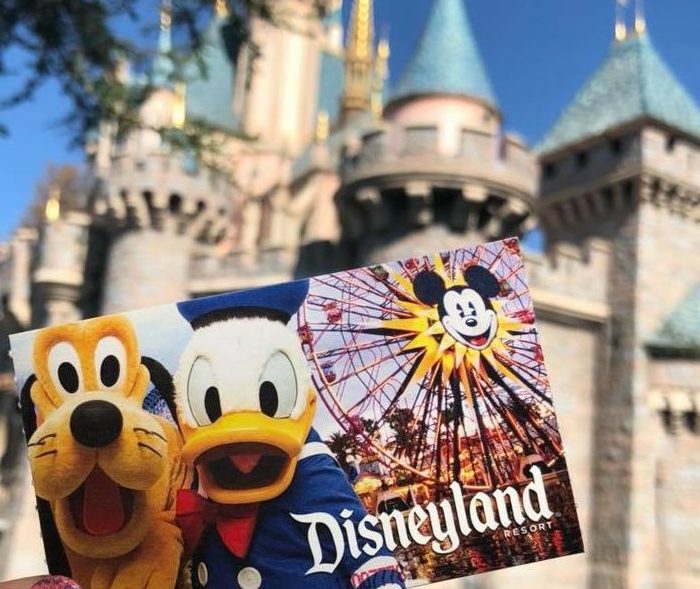 Even if you don’t live in Southern California, purchasing an annual pass might be a good idea if you plan on visiting Disneyland for more than seven days in one year. You will save money on your tickets and annual passes also provide discounts on food and merchandise. The amount of discount depends on the level of pass you purchase but even the cheapest passes give you a 10% discount. Some annual passes include complimentary parking at the Mickey and Friends parking lot. So when considering if you should purchase an annual pass, factor in the savings for food, merchandise, and parking to make your decision. You can even just purchase on annual pass for one person in your party so that way the entire group can save money on dining and merchandise. If you consider the amount you can spend on dining on a Disneyland vacation, the dining discount from having one pass comes in handy. The only way to get a slight discount on a Disneyland Annual Pass is through purchasing a discount ticket and upgrading this to an Annual Pass, though recent reports state that this 6 step process may no longer work. This is the top tier pass with no blackout dates with discounts of 15% off at most of the restaurants and 20% off most of the merchandise found in the parks and Downtown Disney. This annual pass also includes complimentary parking, unlimited PhotoPass downloads, and unlimited use of the Disneyland MaxPass service. This is the top tier pass and costs $1399 per person. This annual pass includes admission into the parks most of the days of the year except for the busy blackout days which usually fall around some summer days and Christmas/New Years. This pass includes discounts of 15% off at most dining locations, 20% off most merchandise, complimentary parking, and Disney PhotoPass downloads. This pass costs $1149 per person. This pass is good for 315 days in the year- almost every holiday and Saturdays are blocked off. This varies though so make sure you check the blackout calendar. This pass includes dining and merchandise discounts of 10%. This pass costs $799 per person. Only Southern California residents can get this pass and it requires a ID to purchase it. This Annual Pass has the most blackout dates with every Saturday and Sunday blocked, all of July, most of August, and December. This pass costs $369 per person and requires a California state ID to purchase. The amount of blackout dates you experience will depend on the tier of the annual pass you select. The most expensive pass includes less or no blackout dates while the cheapest includes the most blackout dates. Keep in mind that if you purchase the annual pass on a day it would have been blocked out- you can still use it that day anyways. This is a good move by Disney because they would never want to sell you an annual pass and then not let you use it that same day. See the calendar for blackout dates for Disneyland annual passholders to make sure that you don’t visit on a day that you may be blocked out. The Disney Vacation Club is a Disney-owned timeshare operation with units at Walt Disney World, Disneyland, Vero Beach, Hilton Head Island, and Aulani Resort in Hawaii. Disney Vacation Club members get a $20 discount off the purchase of a Disneyland Annual Pass. This discount on Disneyland annual passes does not apply to the renewal of any Disneyland Annual Pass. This discount is only available to the Disney Vacation Club Member’s immediate household. If you’re interested in becoming a Disney Vacation Club member, you can read our guide to see if it’s the right fit for you. Disneyland’s current discount Disneyland ticket offer for active and retired U.S. military personnel is discounts on 3-day and 4-Day Park Hopper Tickets. You can see more info on the available Military Disneyland discounts. Active and retired U.S. military can also receive the Disney PhotoPass Collection for a discounted price of $49 plus tax from January 1 through December 21, 2019. The collection includes all digital downloads of your photos, a voucher for a dining print package, and a Disneyland Resort Gallery Disc. You may purchase discount Disneyland tickets for guests who do not fall into the category as long as you are with them when they enter the park. Disney Cast Members are supposed to check ID at the front gate for all military tickets. Disneyland doesn’t offer official discount Disneyland tickets for firefighters and law enforcement but cheap Disneyland tickets may be available if you contact your union. Many unions all along the West Coast have access to cheap Disneyland tickets. Disneyland Resort offers discount Disneyland tickets to AAA members on 2-Day, 3-Day, 4-Day and 5-Day tickets. The amount of the discount depends on the length of the ticket- longer length tickets will get a larger discount. AAA members can save from $8-$14 per ticket depending on the length of the ticket. Costco members can purchase Disneyland vacation packages through Costco with a valid membership. Depending on the seasonal offerings, you may receive perks like Disney gift cards or discount PhotoPass if you purchase through Costco. 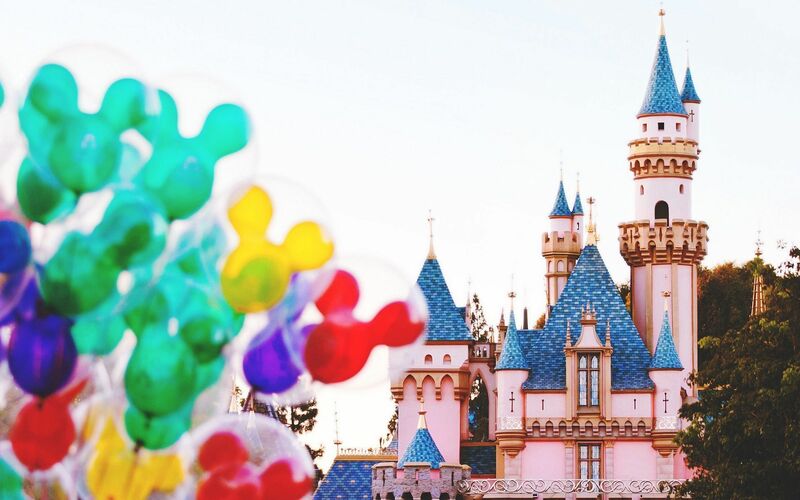 However, we recommend checking the price against our travel partner Get Away Today which will likely offer you a better deal on your Disneyland vacation package. Disney Youth Education Series (YES) is a program offered throughout the year that provides educational classes on topics ranging from leadership to marine biology that are taught inside of the Disney theme parks. As a side benefit to these cool Disney classes is the opportunity to purchase discount Disneyland tickets. The discount range varies for each type of ticket. The pricing is different for those taking the class and those simply going on the trip. There are lots of different rules and restrictions attached to these tickets so make sure you read all the fine print. You can see all of the Disney Youth Education Series classes offered here. Southern Californian residents can receive discount tickets with proof of a valid Southern Californian address. The discount tickets are good now through May 23, 2019. The following blockout dates apply: April 14 through April 22, 2019. Proof of eligible residency within ZIP codes 90000-93599 and Northern Baja California residents within ZIP codes 21000-22999 is required for purchase and admission -valid government-issued ID must be presented at Main Entrance upon entering. For more information and to purchase, click here to go to Disney’s website. Teachers that are members of a union within the US or Canada may be eligible for discounted Disneyland tickets through their union. Check with your union to find out if they offer any deals or cheap Disneyland tickets. The amount of the Disneyland discounts will vary depending on the union. College students in California can also purchase discounted Disneyland one day and two day tickets. These discount tickets which can usually be purchased from the various Student Unions but do not provide much savings so we recommend comparing the price before purchasing. Disneyland offers discounts for groups of 15 or more from qualified non-profit organizations. For detailed information, prices and tickets, please call Disney at (714) 781-4565. Disney Youth Groups also offer specially-priced group tickets—perfect for field trips—for youths ages 3 to 22. For information and reservations, call (800) 232-7980. Disneyland often offers Disneyland discount tickets to large corporations and government agencies in the Los Angeles area. Check with your Human Resources department to see if you qualify for any discounts. While there are rarely one day discount Disneyland tickets available to the general public, these corporate Disneyland discount partners can be a rare exception. We recommend three days to see everything at both Disneyland Park and it’s adjacent theme park Disney California Adventure. It is possible to experience the high level highlights of both parks in one day if you must, but it won’t be enough time to see everything you want. Often guests underestimate Disneyland since it’s smaller than Walt Disney World but it actually has more rides than all four Walt Disney World theme parks combined! 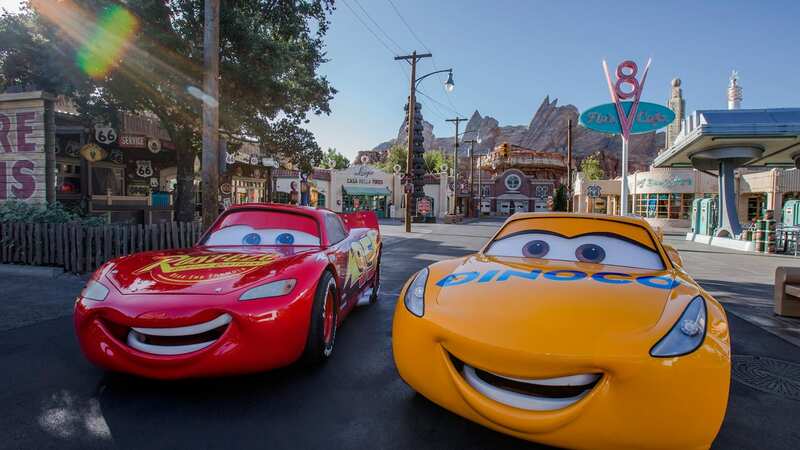 Having a park hopper ticket can be extremely convenient because it allows you access to both Disneyland and Disney California Adventure in one day. If you only have one or two days to spend at Disneyland, I highly recommend going with this Disneyland ticket option so you can maximize your time. A One-Park Per Day Disneyland ticket can work fine if you have three or more days to spend at Disneyland- this ticket will not let you go between parks in one day but if you have more flexibility of time to stay at Disneyland you can save some money with this option. What age is free at Disneyland? 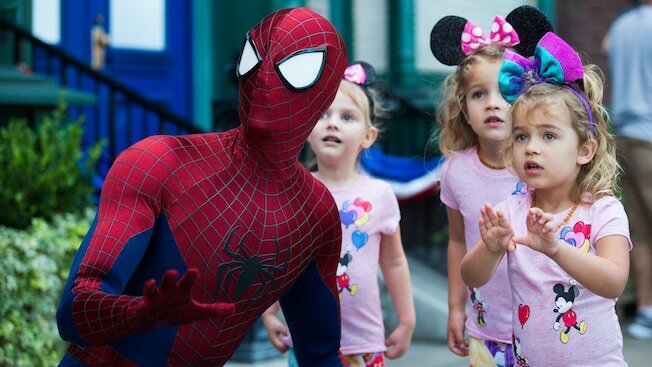 Children aged two and under get free Disneyland tickets. 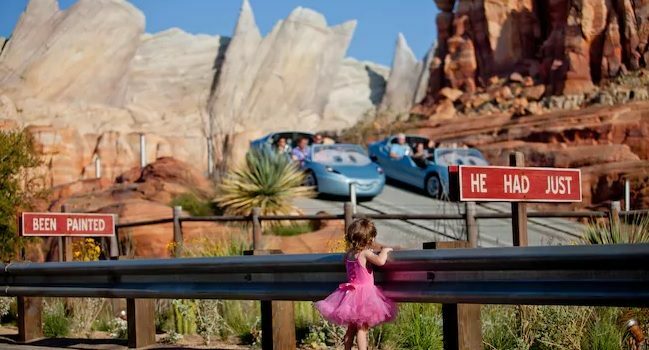 Children can get the child’s price for Disneyland tickets if they are between ages 3-9. Everyone 10 years old and up require an adult priced Disneyland ticket. 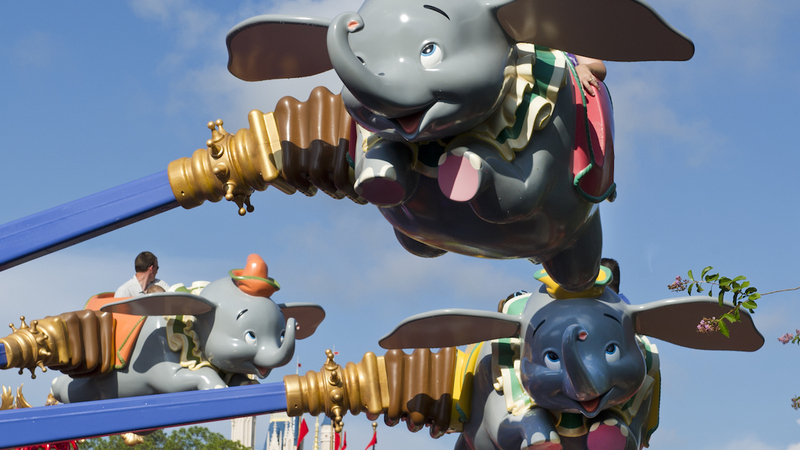 What are the early entry benefits of Disneyland three day and longer tickets? Magic Morning is a benefit of tickets that are three days or longer for guests to use that allows guests into the park one hour before official Disneyland park opening on select days once during their visit. Fantasyland and Tomorrowland are open during this time and can be a great way to beat the lines for popular rides in those areas. This shouldn’t be confused with Extra Magic Hour that is offered to all Disneyland Resort Hotel guests on each day of their stay. Beware of extremely cheap Disneyland tickets! Be especially careful to never buy cheap Disneyland tickets from an online source that is not affiliated with Disney. Never buy tickets from eBay or Craigslist- they are filled with scam/fake tickets. Some people also attempt to sell their tickets after they’ve already used some of the days if they purchased multi-day tickets. But Disneyland already has a system in place to prevent people from sharing tickets. The instant you use your ticket on the first day, the cast member will take your photo, and that will be associated with your ticket. Check out this full guide to avoiding scams on discount Disneyland tickets. You can find more information and advice on planning your Disneyland vacation by subscribing to our Disneyland discounts newsletter and by visiting the other articles available on the website.